A new dictionary is available under the Aegean-Anatolian branch of the language tree called Eteocypriot. Eteocypriot is an unknown language (or languages) that appears in various Cypriot documents. Even though it is possible to read it, the language(s) is not understood and therefore the "dictionary" (it is more of a word index actually) has no meanings attached to its words. Basic commentary regarding the inscriptions is available, but work is still in progress. We're happy to announce the release of the index of pre-Greek toponyms. You will find it in the languages page, under the tab "other dictionaries". The commenting is still laconic, but we will add more information on the way. As always, work is always being done in the background. We are glad to announce the first part of the Proto-Albanian word-list. This is just a small body of words, but more are going to be added gradually. It is well documented and has lexical comparisons. You will find the dictionary under the Palaeo-Balkan languages in the language tree. After so many language shifts, something that was well preserved from bronze age Anatolia is the terminology of musical instruments. Our first pick is the Turkish zurna, which is a wind instrument. It derives from the PIE word *krn 'horn' and is first attested as the musical instrument zurni in cuneiform Luwian. Other Indo-European examples are the Anc. Greek σύριγξ, Mod. Greek ζουρνάς, Sanskrit śrṅga and of course Old English horn (proto-Germanic *hurnaz). If it does not derive from the Luwian zurni, Turkish got it through Persian. Davul is the drum accompanying the zurna. This one is a bit controversial as it includes etymologies of various backgrounds, including Arabic. Albanian daulle 'tambour', Latvian dauzities 'beat, drum' and Indo-Iranian tab(e)la 'small hand drum' speak strongly for an Indo-European origin. To that we may add the presence of Lydian daul- 'pressure' in kandaules 'dog bane'. For sure it requires more investigation. Moving away from the Indo-European world, the Hattic word zinar is sometimes erroneously considered the root for zurna. Zinar is usually a stem in compound words denoting a string instrument. It survives in Armenian as ӡnar or knar 'lyre, harp' and Hebrew kinnor. Greek has also inherited κινύρα 'string instrument', a substratum (pre-Greek) word related to the Hattian zinar. A lot can be said about the last one, but we'll save it for another post. As you might have noticed, the Proto-Indo-European and Proto-Turkic dictionaries have been searchable for some time. They are now also available for browsing, letter by letter. It has been almost 1 1/2 year since we released the Hattic dictionary, but unfortunately there has been no language presentation. Although there're more things to add, this is probably the richest article on the Hattic language you will find online. Today, we kick off with a series of articles called "Pre-Greek studies", focusing on the language pre-history of the Helladic region. 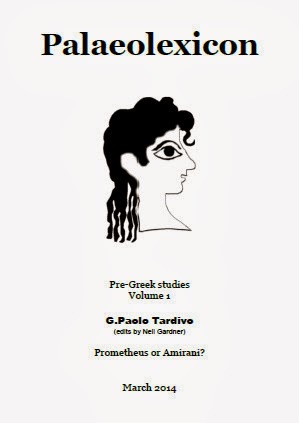 We've got a great contribution by Giampaolo Tardivo, regarding the Pre-Greek language and its relation to its neighbouring non-Indo-European languages in Anatolia and Caucasus. First, let me thank the Paleolexicon team, whose website I have often visited. I would like to briefly illustrate a new theory of the probable relationship between Pre-Greek and some other ancient and modern languages in and around Anatolia. It is well known that the Greek lexicon contains a considerable number of sub-strata words. Additionally, Greek historians themselves wrote about a “flourishing civilized area in the Ægean Sea”, a powerful kingdom in the isle of Crete. Nevertheless, minor settlements in the Cyclades also arose. Many words were and still are enigmatic in any form and have yet to be convincingly explained. For many long decades and indeed for nearly two centuries, despite several attempts, linguists have dramatically failed to establish the origin of these words. Sir Arthur Evans discovered tablets during the excavation of Knossos’ palace. Over time two kinds of writing have emerged: Linear A and (Linear) B. The latter was deciphered by an architect, Michael Ventris and his mentor John Chadwick; whilst Linear A has not been cracked yet. Even in the third millennium, experts continue to believe in an isolated language or, at best, in a minor extinct ancient language group. I devoted my last decade to studying what’s happened to the Ægean area in the Bronze Age, where originally Pre-Greek people come from, and, more important, if any phylogenetic relationship with some languages of the Anatolian plateau may be existed. A comparison with neighbourhood Semitic(-Hamitic) language is been attempted since then, relationship between Greeks and Near East cities starting earlier in history; despite that, except for borrowing lexical items, no serious glottochronological origin can be proven. After Linear B and Hittite decipherment, scholars went to a more deep and clear studies on Indo-European language family. Indo-European studies bearing two centuries of good investigation in the linguistic field; and I can say, it is the more robust and accurate research ever. To read R. S. P. Beekes (Leiden Uni., NL) brief (PDF, available on-line): “Pre-Greek. The Pre-Greek loans in Greek – 3rd version, January 2007”, is really worth it. It is a quick introduction on phonological ground; some of his assumption are incorrect; nevertheless, his synchronic point of view still are – as a whole – quite good. In any form, basic feature are seen and shared with R. A. Brown, L. R. Palmer in “...... The existence in the syllabary of a system of opposition plain : palatalized : labialized to the neglect of the oppositions voiceless : voiced : aspirate, which are essential to Greek, strongly suggests that the ancestral form of the syllabary was created for a non-Indo-European language (LP 19. 29). Such phonemic systems are found inter alia among Caucasian languages”. With this words, despite Palmer’s Luwian connection, an initial suspect is looked at. There is a psychological block toward ancient languages to be historically related with unfamiliar languages to scholars. My research paper it aims to find the correct solution to etymologically unsolved question in Greek language. How do I know if I hold the right answer? Anything based on Science must be LOGIC; in Linguistics such Logic is called RULES; a list of words must follow the same rule in its articulatory environment; rules may change due to position, accent, or the like. There are several problem within comparative system I propose to, notably the North Caucasian family; which still be rejected in any aspect, from phonology to syntax; there are huge differences between Western Caucasian (Adyghe, Abkhaz-Abaza and extinct Ubykh) and Nakh-Daghestanian or Central-Eastern family (30 languages grouped in 7 branches). Both groups lacks of early attested sources, linguistic reconstruction is rather probable. My investigation expand to three ancient poorly attested languages, such as Hattic (a pre-Hittite and non-IE language), and Hurro-Urartian (non-IE and non-Semitic). Against this hypothesis, mostly scholars are sceptic still. At a glance, it appear to them as ‘a réprise’ of dismantled old theories. In somehow, their critic are correct when and where appropriate. I deeply myself try to see phonological rules and to reject any folk etymology; nevertheless, I see no reason to discharge a priori, before to check if a Pre-Greek word has or has not a chance to meet a counterpart somewhere else; most important are RULES as correct way to demonstrate its validity. Caucasus is mountain chain, also a “Mountain of tongues”, more than 60 languages are spoken over there; two main kind of ethnic division must be considered: Indigenous and settled. For the first type, a second sharp division include three or two linguistic families (West Caucasian, Nakh-Daghestanian, South Caucasian [with Georgian]); meanwhile IndoEuropean, Uralic, Altaic, Semitic are waves of population over the centuries. Linguistic typology shows an abyss between languages / groups / families; phonologic inventory may vary even in dialects of the same language. Morphology and Syntax are no less relevant than phonological feature. In any form, in North Caucasian (both, Western and Nakh-Daghestanian) languages, ERGATIVITY is a distinctive mark. Except for Georgian, Armenian and – for a short period of time – Albanian [do not confuse Albania in the Balkans with Caucasian Albania, now Azerbaijan], any other language in Caucasus area has not written record. The research hardly can be proven correct. Reconstruction is very tentative. About three ancient languages I quote earlier, lexicon is limited to few words, also repetitive in inscriptions, and sometimes, doubtful in interpretation and meaning. 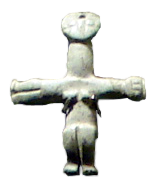 Their relationship with North Caucasian (Western and Central-Eastern), despite several attempts, it is not widely accepted. Further evidence needed in order to establish a secure glottochronology or common roots. On top of that, despite all related problems, some other tests are faced: The Ægean area. If it is problematic to reconstruct a linguistic family, how can we solve problems through problems? Does it seems a very bad hypothesis to deal with. In my mind, based on knowledge I have with, and historical facts I add to, I begun to elaborate a new theory from scratch; any previous attempt made by other scholars is completely revised. So, the second problem I could face is the Ægean mystery; where everything vanished, except for Pre-Greek lexicon in Greek. In the past, only Paul Kretschmer had had the idea to sieve IE words from non-IE; hence, the substrata idea slowly emerged from dust and darkness. Kretschmer’s idea itself was baffled in Academic world. Only R. A. Brown (1985), R. S. P. Beekes progressed with the concept of a substrata language; and then I begun to compare with some linguistic families in the distance radius or geographically close to Crete and Ægean sea. ἀκακαλίς ‘gall of the oriental tamarisk (Dsk. 1, 89)’. ἀκακαλλίς ‘narcissus (Eumakh. Ap. Ath. 15, 681e)’. ἀκακαλλίς ‘juniper (Ps. - Dsk. 1, 75)’. κακαλλίς = νάρκισσυς (H., κ 292). This word has no known etymology. The sequence -κ__κ- is a clear pointer of its non-IndoEuropean origin, as is also the fluctuation between -λίς, -λλίς, and the prosthesis and/or apheresis of initial α-. In mythology Akakallis is one of Pasiphae's daughters, thus indicating the strong links between this word and Crete (R. A. Brown 1985, pp. 26-27). No opposition voiced ~ voiceless. Aphaeresis (or Apocope) in both cases: synchronic and diachronic. A feature like that, it appears in so many lexical items. The reason why, is not clear yet, but I suspect α- is used for grammatical purpose. Unfortunately, such rule is not applicable to all lexical items, if they are too short, like ἄχνη ‘straw’; in this case a different rule shall be apply within. Again, it is not a coincidence that in Bezhta naχu means ‘straw’; and the rule is: metathesis. Unlikely other more common rules, metathesis is always rejected among scholars; only few of them begun to explore the reason why it occur. Metathesis is a very universal common phenomenon, very underestimate in phonology; however, Blevins & Garrett and E. Hume give us a clear explanation of sounds affected from; and the result, it is more regular than we expect: only l, r, m, n, s are involved. Greek culture must be seen as a continuity of Cretan one, and to bear in mind that, some words already had an explanation through mythology; in this case, its original meaning is not directly exposed to the reader. A comparative system reveal the name truthfulness; like Pre-Greek ἀράχνη and Kryz (Lezgian group of Nakh-Daghestanian family) bab ruχ «spider» ← litt. ‘old woman’ + ‘to weave’. The Greek tale is about a competition between a weaver (her name was ἀράχνη) and Ἀθήνη goddess, and then ἀράχνη was condemned to be a «spider» forever. Semantically speaking, the word ‘spider’ in Greek (Latin arāneo) – mythology and comparison – reveal the exact equation of ‘spider ← the weaver’. Akhwakh: =et w’- ‘to drop, to drip, to flow’. In some occasion, Pre-Greek has a good counterpart with Hurrian and/or Urartian and/or Hattic; so, no exact match with North Caucasian languages. I quote ὄβριμος, ὐβρις, βρί, βρῖ ‘strong’, much more the same as Hattic *ure, *uri ‘stark, mächtig, kräftig / strong’, and Hurrian wuru, puru ‘ib.’. Furthermore, Semitic loanwords are not ignored, like νῶροψ, -οπος ‘flashing’, a long vowel with circumflex accent may bear an approximant like /w/, exactly the same as Akkadian nawāru(m) ‘to be(come) bright, shine’, also with Hebrew and Chaldee נור [nūr] ‘fire’, ניר [nēyr] ‘a light’ < נר [nēr] ‘ib’. This short introduction is wrote for illustrate new theory. Such theory is welcomed and constantly under supervision of Academics in Italy, UK, Canada. So, my research paper it goes thicker and revised daily. In any form, it is not exhaustive, a lot of proposed etymology still are doubtful. Nevertheless, hundreds of words are investigated, as result, regular sound change has been observed. Hopefully all the job done should lead to Linear A final decipherment, Pre-Greek is a tool to better understand – not only the Greek itself – all the problems related to. For any query, you can directly write to the website contact email. 1. Hans Georg Wunderlich “The secret of Crete”, op. cit. ; ved. Bibliografia.